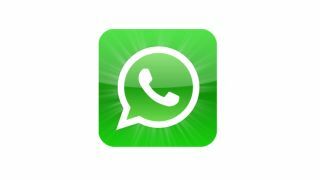 WhatsApp is adding voice calling to its popular instant messaging app, with iOS and Android the first two OSes to get the new features. At WhatsApp's MWC press conference, CEO Jan Koum said that some BlackBerry and Nokia phones will be next in line for the voice messaging update, although the company didn't give any idea of exactly when we can expect it to land beyond "Q2" - that's April to June. It's not the biggest WhatsApp news in recent memory though, overshadowed by Facebook dropping $19bn on the messaging service. But what's in it for Facebook?